Sporty handling isn't on the cards with a car as large as the Insignia, but it is at least easy to thread along a twisting country road. Its steering is reasonably accurate and there’s plenty of grip for you to carry speed into a bend. However, the car feels heavy and is cumbersome on tight city streets and in car parks. The last point makes parking sensors an absolute must-have. Ride quality is best on the standard 17in wheels; otherwise, the Insignia fidgets and thumps considerably when it encounters a pothole. The ride can also be a problem if you go for an S line or sports suspension-equipped A4, so we’re recommending you stick with a Sport model and standard wheels for the best ride and handling combination. Like so, the A4 drives over lumps and bumps with aplomb yet doesn’t feel at all floaty on the motorway. Its steering is light just off-centre but builds up weight in a progressive manner at speed, giving you the confidence to place the car precisely in corners. On the performance front, the Insignia that lags well behind the A4. With just 136bhp from its 1.6-litre engine, the Vauxhall is never going to win the traffic light grand prix against the 187bhp 2.0-litre Audi. At least it's quite refined at a cruise and has sufficient torque for you to leave it in sixth gear on faster roads. 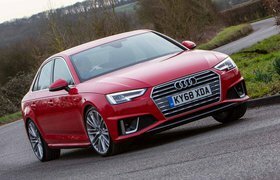 The A4 is in a different league altogether, though, and its extra power and torque figures allow it to complete the 0-62mph sprint more than 2.5sec faster than the Vauxhall. As mentioned earlier, you should get a healthy discount on the £23,900 Insignia Grand Sport. Our Target Price suggests you should expect to pay £22,397 for a Tech Line Nav model, which is considerably less than the £23,250 you’d need to pay for an A4 2.0 TDI 190 Sport quattro with below-average mileage from an Audi main dealer. However, the Insignia will depreciate heavily after a year (we've seen cars in this spec with only a few thousand miles on the clock down to £16,000). 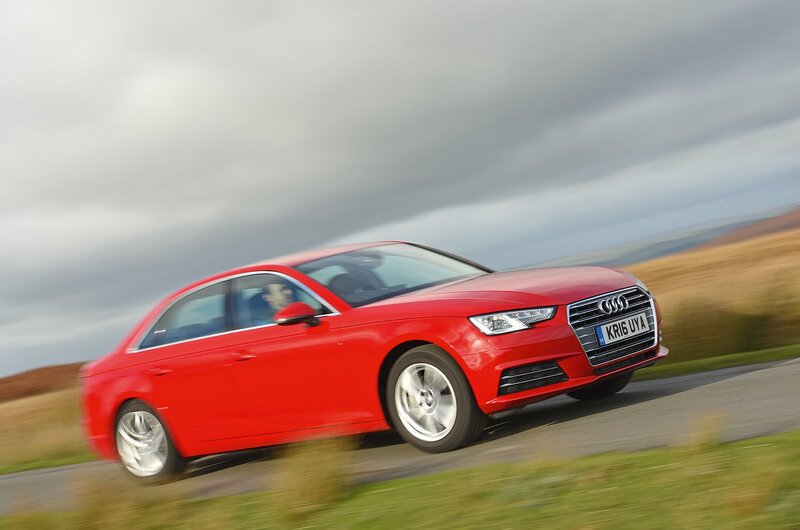 In spite of its bigger, more powerful engine and four-wheel drive, the A4 returns the better fuel economy, with an NEDC combined figure of 64.2mpg and only a £30 yearly road tax figure. The Insignia gets fairly close, with 61.4mpg, but you’ll need to pay £140 a year to the taxman, because it will come under the current road tax system. Vauxhall is presently offering a pay monthly plan that includes three years’ servicing, two years’ roadside assistance and the first MOT for free. This costs £22 per month (at the time of writing) for a diesel car. Audi offers a pay monthly service plan that you can buy online. Prices vary depending upon the size of the engine, so you’ll need to use its online calculator to find out. You will be able to take advantage of fixed price servicing once your A4 is more than three years old, though, so you should be able to save some money that way. You'll get a longer warranty if you buy the Insignia (three years and 60,000 miles, which is exactly the same as the Audi when new). A 2017 A4 will be halfway through its warranty period, and you’d have to purchase more cover from Audi in order to extend that. 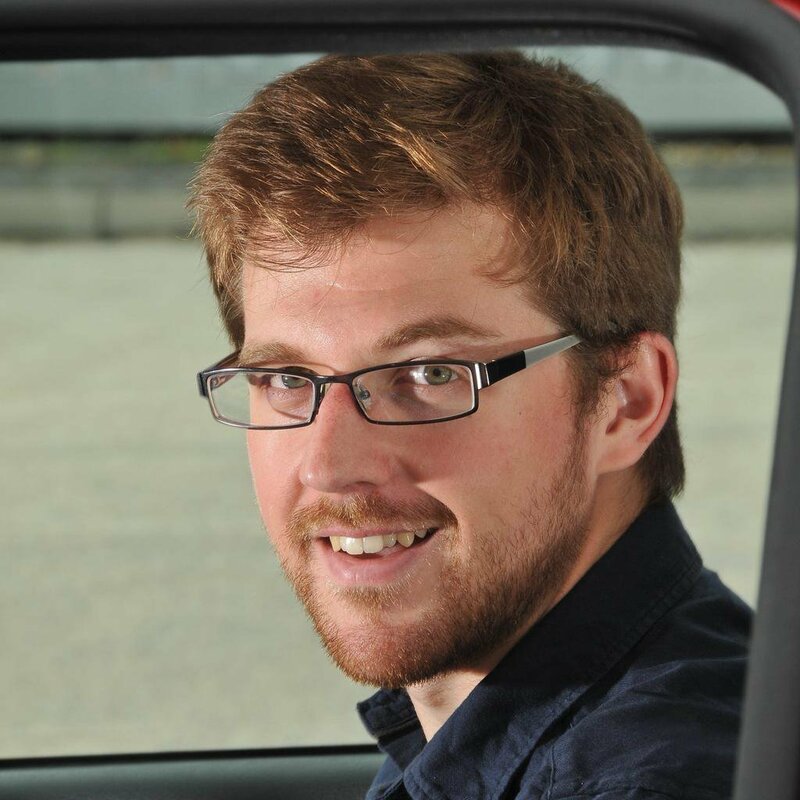 The Insignia is likely to be more reliable than the A4, according to the latest What Car? Reliability Survey. Vauxhall as a brand finished in joint 11th place with Mazda, while Audi shared a spot with Volvo down in 20th.